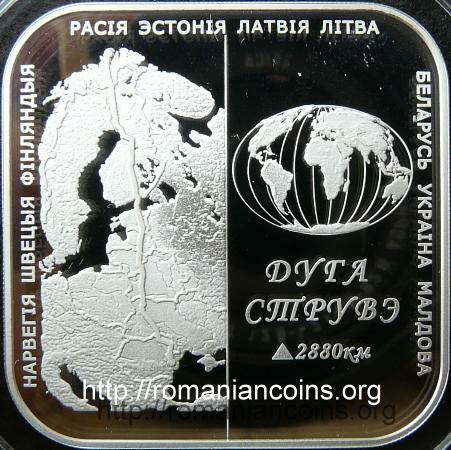 This coin was issued by the National Bank of the Republic of Belarus and belongs to "Belarus and the world community" series. 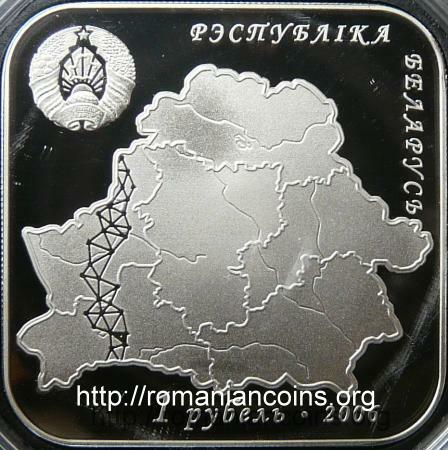 After 1991 the name Belorussia (with Russian origin) was replaced by Belarus. 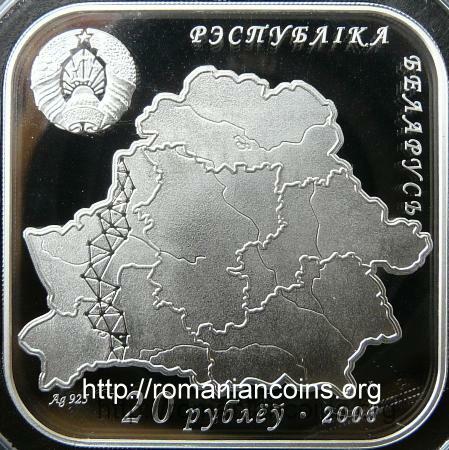 This coin deserves to appear on Romanian coins site, because on the reverse the map of Romania is represented. The Arc - through its 34 geodetic points preserved to the present - was included in 2005 into the UNESCO world heritage list. 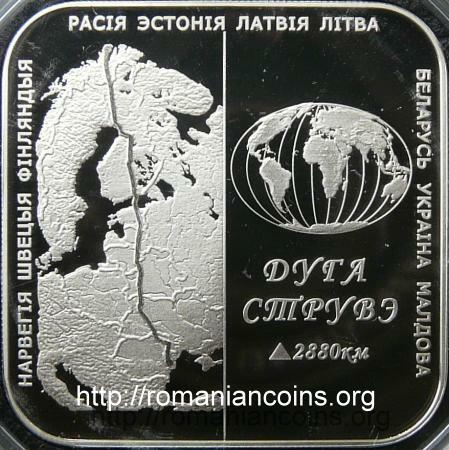 You can find more about Struve geodetic arc by visiting the page dedicated to the Moldavian silver coin 50 lei 2009, coin on which the route of the Arc through Moldavia is represented.